Come join us for this special presentation of the life of Peter as it relates to the specific event. 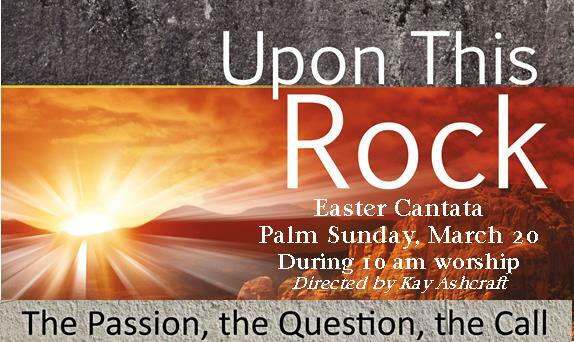 Using Peter as the sole narrator and the dramatic focal point, “Upon This Rock” depicts the events of Holy Week while revealing Peter’s personal perspective on the significance of each. Jesus’ appearances to His disciples during those confusing and discouraging post-resurrection days are also included, as the plans for building God’s church and spreading the Gospel are beautifully and dramatically portrayed through the creativity of composer Pepper Choplin.